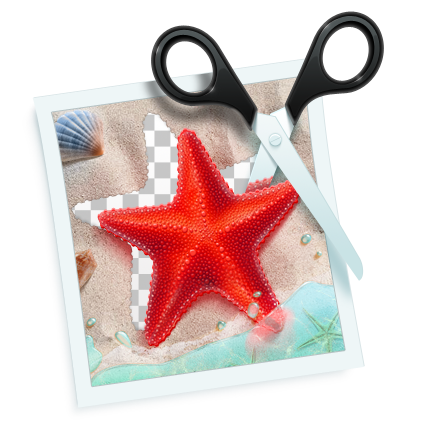 PhotoScissors 3.0 был доступен бесплатно 27 июля 2017 г.
PhotoScissors окажет вам неоценимую помощь, если вам нужно быстро вырезать объект или человека для переноса на другое изображение или удалить фон с фото. Вам не понадобятся ни специализированные программы, ни навыки работы: всего несколько движений мышью и у вас готов аккуратный трафарет, который можно подправить кистями. Приобретайте Персональную лицензию (с поддержкой и обновлениями) с 50% скидкой! Inpaint восстанавливает выбранную область изображения из пикселей вокруг. Удаляйте любые ненужные объекты с фотографий: логотипы, водяные знаки, линии проводов, людей, текст или другие нежелательные объекты. Приобретайте Персональную лицензию (с поддержкой и обновлениями) с 50% скидкой! iResizer — это программа для настройки масштаба изображений без изменения важного визуального содержимого фотографии: людей, зданий, животных и т.д. iResizer поможет сжимать или увеличивать изображения для улучшения композиции, настраивать расположение объектов или изменять ориентацию фотографии. Приобретайте Персональную лицензию (с поддержкой и обновлениями) с 50% скидкой! PhotoStitcher автоматически объединит изображения и создаст безупречное панорамное фото. Просто сделайте несколько снимков подряд и нажмите кнопку «Сшить». PhotoStitcher – это полностью автоматизированная программа для объединения фотографий. Приобретайте Персональную лицензию (с поддержкой и обновлениями) с 50% скидкой! FolderIco позволит изменить иконку любой папки Windows всего одним щелчком мыши! Разукрашивайте папки и находите новые способы классификации файлов. Всего одним взглядом вы сразу найдете нужную папку! Приобретайте Персональную лицензию (с поддержкой и обновлениями) с 50% скидкой! WebInpaint - удаляйте нежелательные объекты и исправляйте погрешности фото онлайн! При попытке установить на Windows XP пишет, что данная система не поддерживается, хотя в системных требованиях поддержка заявлена - минус. Windows XP/ Vista/ 7/ 8/ 10. На сайте разработчика в этом списке отсутствует Windows XP. Доверяя giveawayoftheday, я сношу с ХР старую версию программы и пытаюсь ставить новую. Тут всё и закончилось. Спасибо. giveawayoftheday следовало бы внимательно смотреть системные требования на сайте разработчика. Вы указали Системные требования: Windows XP/ Vista/ 7/ 8/ 10. На сайте разработчика в этом списке отсутствует Windows XP. Доверяя giveawayoftheday, я сношу с ХР старую версию программы и пытаюсь ставить новую. Тут всё и закончилось. Спасибо. Всегда лайкаю программы от TeoreX. Знаю их с давних пор, благодаря "Гивевеичу", еще когда были "тестовыми проектами". Автор-разработчик не только талантливый программист, но и добросовестный человек и ответственный предприниматель, который не отмолчится на проблему и "не бросит своего клиента на произвол судьбы". Успехов TeoreX и новых хороших программ. Вот как работает https://www.youtube.com/watch?v=vncoXwxySqg прими решение нужна тебе или нет. Программа для качественного удаления заднего фона PhotoScissors поможет вам, если нужно быстро вырезать объект или человека для переноса на другое изображение или удалить фон с фото. Вот как работает https://www.youtube.com/watch?v=vncoXwxySqg прими решение нужна тебе или нет. Спасибо за видео-труд и то, что своим видео подтвердили мою правоту, что программа - хороша. А то тут некоторые, как мартышка и очки из басни Крылова, не разобрались, сперва, с программными инструментами и возможностями, и опоганили программу и меня вместе с ней. Теперь, благодаря вашему видео, все стало на свои места. Сразу видно теперь, "кто не разбирается и почему..."
Ester с Гивевея, спасибо и Вам за этот комментарий. Именно благодаря тому, что есть такие акции по бесплатной раздачи я и записал несколько видео, которые раздаются на этом сервисе. Коротко о самом сервисе. То, что он на английском, для меня не проблема, хотя его почти не знаю. Но сама программа сделана качественно и освоить оказалось легко. т к нет опыта работы с такого рода программами, было непонятно(нет русского) перешел на страницу справки( с переводчиком) оказалось все просто "в два клика". перегнать в другой формат, думаю, для многих - не проблема. ps: артефакты есть. Cliche it may be, but an old maxim for commercial best practice is as true today as ever: a business which cares about its product, cares about its customers. Unfortunately, where the world of software is concerned, too many developers churn out me-too tat whose usage they can't be bothered to explain, or provide so-called Help files that are either uninformative or unintelligible -- or both. As they don't care about their users, they obviously don't much care about their product. The sensible user will, therefore, stay well away. Today's developer, Teorex, has never been in that category, and as the years have gone by has progressively refined its product offering and the quality of its customer care. As a result, today's PhotoScissors 3.0 is just about as good as it gets: an extremely competent and sensibly-priced app that's coupled to an exceptionally broad range of fully illustrated, perfectly articulated, user tutorials. As to this specific giveaway, it's class act time all the way, no fuss, no data harvesting, no idiotic registration sequence: click on this page's download invite and opt for 'send email'; receive email within one minute; click on email link; click on linked page download and receive GOTD zipped package within one minute. Job done. Having read it, it will be immediately obvious that the executable should be run to install PhotoScissors and that after it's up and running and seems OK, close it. Now, and only now, go back into the folder or subfolder where the unzipped GOTD package is located and click on 'Activate'. A GOTD activation confirm screen will appear in the browser. All very simple and straightforward, and the only reason I seem to labouring the flippin' obvious is because time and time again people come on here with complaints about 'activation failures' when (a) they never read the readme file first and so they (b) activated an app while it was actually running. Hopefully, there'll be no such clutter on this thread today. . .
To its great credit, Teorex hasn't put together a slew of verbiage for new users to wade through. Instead, it has taken good care to focus in on specific topics, and to then talk the new user through them in plain English, together with step-by-step illustrations. It has also popped in some short videos for good measure, too. Best way of actually using these tutorials is to download them as pdfs rather than staying online. Everyone will have her / his own choice of pdf creator; in my case, I used the freeware Bullzip to preview and decide which pages to save -- their overall extent of 5 or 6 pages can be reduced to 3 or 4 by not saving the standard concluding pagination -- and then stacked 'em in a new PhotoScissors folder created in my existing, main, Photography folder. Total time expended for all the above: 11 minutes. And it's that duration which really does say it all about the quality of this offering: clean fast straightforward download and activation (no user registration necessary, no keys to await), excellent topic-specific user guides that can be quickly found and downloaded as flawless pdfs (not something that can be said about all online guides) and quickly read, and absorbed. 3) Having dragged 'n dropped an image into PhotoScissors' resizable browser, use the plus button to magnify that section of the original image to the point that you can see -- exactly -- what it is you're working on: I've lost track of the number of times I've had to help people struggling with pixel manipulation software who for unfathomable reasons never, ever, enlarge the picture they're working on. In conclusion then, and with a further apology for going into detail here about stuff which to many other GOTDers needs no such elaboration, many thanks to GOTD, and many thanks to Teorex, for today's giveaway. From every aspect, it's up there with the best of GOTD's offers and I'd recommend 100%. . . always providing, that is, that the readme text file is actually read, and the product's superb little tutorials are taken to heart. . . Cliche it may be, but an old maxim for commercial best practice is as true today as ever: a business which cares about its product, cares about its customers. Unfortunately, where the world of software is concerned, too many developers churn out me-too tat whose usage they can't be bothered to explain, or provide so-called Help files that are either uninformative or unintelligible -- or both. As they don't care about their users, they obviously don't much care about their product. The sensible user will, therefore, stay well away. Today's developer, Teorex, has never been in that category, and as the years have gone by has progressively refined its product offering and the quality of its customer care. As a result, today's <i><b>PhotoScissors 3.0</i></b> is just about as good as it gets: an extremely competent and sensibly-priced app that's coupled to an exceptionally broad range of fully illustrated, perfectly articulated, user tutorials. As to this specific giveaway, it's class act time all the way, <b>no</b> fuss, <b>no</b> data harvesting, <b>no</b> idiotic registration sequence: click on this page's download invite and opt for 'send email'; receive email within one minute; click on email link; click on linked page download and receive GOTD zipped package within one minute. Job done. Next: create a new sub-folder PhotoScissors 2017 in your main <i>Received Files</i> folder -- I'm assuming, every sensible computer user arranges their material in an orderly fashion -- move the GOTD package into it, unzip into this sub folder . . . and then <b>read the readme.txt</b> (It never ceases to amaze me, the number of posts that land in these columns from people who clearly never look at this particular file and then complain about the consequences.) Having read it, it will be immediately obvious that the executable should be run to install PhotoScissors and that after it's up and running and seems OK, <b>close it. </b> Now, <b>and only now, </b> go back into the folder or subfolder where the unzipped GOTD package is located and click on 'Activate'. A GOTD activation confirm screen will appear in the browser. All very simple and straightforward, and the only reason I seem to labouring the flippin' obvious is because time and time again people come on here with complaints about 'activation failures' when (a) they never read the readme file first and so they (b) activated an app while it was actually running. Hopefully, there'll be no such clutter on this thread today. . . But reading the readme file isn't all that's basic commonsense today. Reading the developer's Help tutorials is likewise an essential preliminary to actual usage, accessible directly from the query icon in the app itself or here: <b> https://www.photoscissors.com/tutorials.html</b> To its great credit, Teorex hasn't put together a slew of verbiage for new users to wade through. Instead, it has taken good care to focus in on specific topics, and to then talk the new user through them in plain English, together with step-by-step illustrations. It has also popped in some short videos for good measure, too. Best way of actually using these tutorials is to download them as pdfs rather than staying online. Everyone will have her / his own choice of pdf creator; in my case, I used the freeware Bullzip to preview and decide which pages to save -- their overall extent of 5 or 6 pages can be reduced to 3 or 4 by not saving the standard concluding pagination -- and then stacked 'em in a new PhotoScissors folder created in my existing, main, Photography folder. Total time expended for all the above: 11 minutes. And it's that duration which really does say it all about the quality of this offering: clean fast straightforward download and activation (no user registration necessary, no keys to await), excellent topic-specific user guides that can be quickly found and downloaded as flawless pdfs (not something that can be said about all online guides) and quickly read, and absorbed. After which . . . the product itself. Teorex is using algorithmic techniques it first set out with several years ago and which it has subsequently refined and adopted. Do they work in PhotoScissors? On balance, the answer is: yes. They do. Three caveats are worth bearing in mind, however: 1) If you can't be bothered to read the exceptionally useful Teorex tutorial entitled <i><b>'Pro-level Image Background Removal',</i></b> then don't be surprised if what you get at the end of processing isn't what you were hoping for. This is a very fairly priced retail $20 app. Not a $200 graphic arts specialist program. It's intended to work automatically, but Teorex is quite open about saying that in some (and in my personal view, many) circumstances, user input is essential; 2) Rubbish in gets rubbish out. Put this app to work on a low-res, small file- size image and no. It's not going to work. Software of this type needs, as source material, the best quality originals it can get; 3) Having dragged 'n dropped an image into PhotoScissors' resizable browser, use the plus button to magnify that section of the original image to the point that you can see -- exactly -- what it is you're working on: I've lost track of the number of times I've had to help people struggling with pixel manipulation software who for unfathomable reasons never, ever, enlarge the picture they're working on. In conclusion then, and with a further apology for going into detail here about stuff which to many other GOTDers needs no such elaboration, many thanks to GOTD, and many thanks to Teorex, for today's giveaway. From every aspect, it's up there with the best of GOTD's offers and I'd recommend 100%. . . always providing, that is, <b>that the readme text file is actually read,</b> and the product's superb little tutorials are taken to heart. . . This was offered last November. I got it then and have used it quite a bit. I think it's very good for what it is. I'm sure some will prefer Photoshop or another massive piece of software, and for somethings they'll be better, but for what I do, this does the job well. This is example of good,reliable,small and simple but very useful application. (Unlike of the some applications that were recently offered here(outdated and useless ''explorer'' for example).All products of this little company(TeoreX) are good,but this is my favorite one.I have background removers in many ''big'' applications(PS,Painter,Twisted Brush PRO Studio),alongside I have Cut Out,but almost always this is my number 1 choice when I'm working on some design and need just one object from picture.Clean,simple and understandable user interface.Green marker for part you want to preserve,red one for parts you don't want.Process is lightning fast.Marker size is adjustable.Preview is on right side,and with little adjustment You will get the desired object from the original picture with transparent background(of course if You save it in .png format).If You want,instead of transparency You can add a solid color,original or another picture as background.There is also a drop shadow tool (adjustable),smooth and offset boundary,feather radius and few simple effects(blur,grayscale,colorize).All in all--light,simple,very fast and excellent tool! PhotoScissors is well-known to us regular GOTD fans and is a must-have addition to my graphics toolkit. It's a specialized tool (doesn't try to be a "Jack of all trades") and does what it says on the tin (meaning it's title and description are accurate and true). Not to mention the relief of GOTD days with an easy, clear and working registration process. I appreciate the simplicity and the quality offering of today's software. Thank you. PhotoScissors is well-known to us regular GOTD fans and is a must-have addition to my graphics toolkit. It's a specialized tool (doesn't try to be a "Jack of all trades") and does what it says on the tin (meaning it's title and description are accurate and true). Not to mention the relief of GOTD days with an easy, clear and <b>working</b> registration process. I appreciate the simplicity and the quality offering of today's software. Thank you.